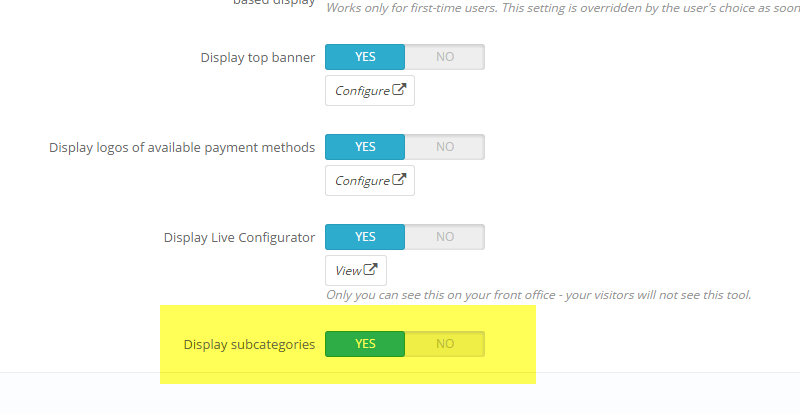 Since Prestashop 1.6, you can decide whether to hide or display subcategories in the product list page. To change this behavior, simply reach Modules (or Modules and Services), then look for Theme Configurator. Then, scroll down until you see the option labeled Display Subcategories and switch it on or off depending on your needs.